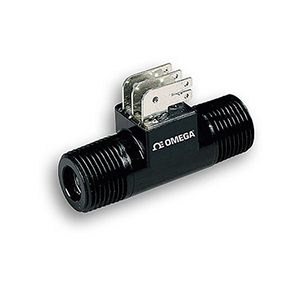 The FTB2000 series Hall-effect turbine flowrate sensor is ideal for OEM applications involving low flow liquid monitoring. The low cost, coupled with 1 /2 % repeatability, makes it an ideal candidate for replacing dispensing timer systems. Unlike existing timing systems, turbine technology is not influenced by changes in system pressure caused by aging filters. The sensor’s standard power and output specifications make it easy to retrofit to existing controllers.